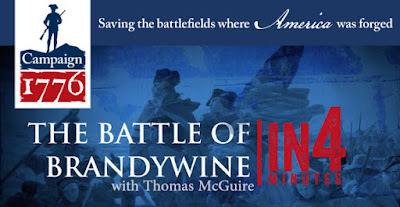 As dawn broke on the morning of September 11, 1777, fog clung along the banks of Brandywine Creek near Chadd’s Ford, Pennsylvania. Gen. George Washington posted his nearly 14,000-man Continental Army among several small hills overlooking the creek. His goal was to prevent the British from occupying the young nation’s capital at Philadelphia. 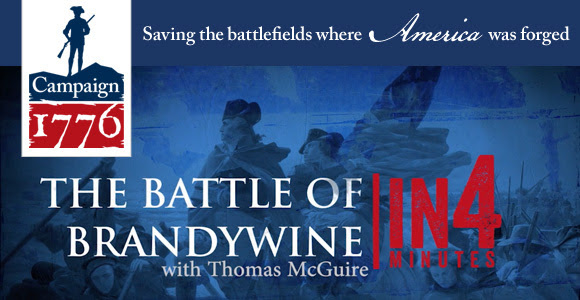 In our In4 video on Brandywine, Revolutionary War expert Thomas McGuire helps you experience one of the largest battles of the American Revolution.